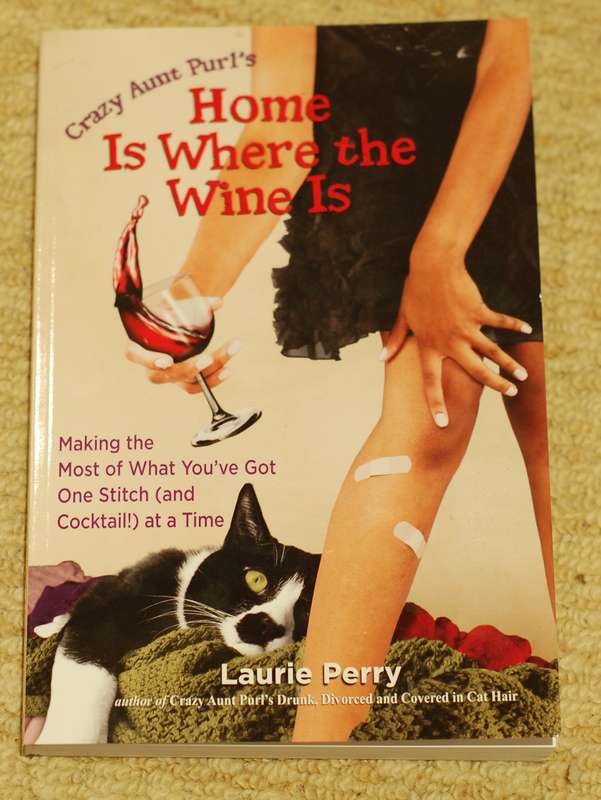 Laurie Perry’s skills as a writer have gotten even stronger since her last book Crazy Aunt Purl’s Drunk, Divorced, and Covered in Cat Hair which was laugh out loud funny itself. Actually, it was more like laugh-until-you-nearly-pee-your-pants funny and her newest book is even better. I guess that you would call it laugh-until-you-pull-a-muscle-in-your-side-and-then-pee-your-pants funny. The hubby looked in on me several times while I was reading it trying to discern if I was laughing really hard or crying. Seriously folks, this woman takes all that is the worst about being a single woman (and sometimes just being a woman in general) and makes you look at it, and I mean really look at it, and realize just how ridiculous it all is sometimes. Her story about getting ready for a vacation to Hawaii literally made me laugh until I cried and anyone who has ever tried to get in shape will recognize themselves in her descriptions of her forays to the gym. I’ve been a fan of Laurie’s Blog Crazy Aunt Purl ever since I read her first book a few years ago. Since then, I’ve told anyone who would listen to me prattle about something like this (read: Happy Hookers crochet group) how great of a blog it is and how everybody should go out and get her books. Or at the very least, check them out from the library. Laurie is sort of like a much less whiny Bridget Jones (the one aspect that I always disliked about Bridget was the whiny tone she gets into often) with the much more realistic issues of cat litter (an issue that I have cussed and discussed several times myself), Target shopping (ditto) and yoga farting (haven’t hit that one yet). I love the fact that she too has been on a date where the other participant spent more of the time on their cell phone than on conversation with the person sitting right in front of them. At the end of this book there are knitting and crochet patterns which are mostly small projects that a beginner (or the obsessive, in the case of the rug) could easily do. All in all, this book gets five (yarn) balls up (get yer minds out of the gutter!). Way to go Laurie and please, don’t make us wait as long for the next one!!! Hey I was wondering if you would be interested in reviewing my book for me? Its entitled “Mr. Glass’s Words of Wisdom” its a hilarious little “advice” book. I would greatly appreciate it!